There's no way to time an accident so it befalls you when it's a little more convenient. If you're in bankruptcy – or even if you're contemplating filing for bankruptcy – the timing of an accident can't get much worse. Accident lawsuits aren't complicated by Chapter 13 bankruptcies as much as they are by Chapter 7 proceedings, however. If you've already been hurt in an accident when you file for Chapter 7 bankruptcy, the proceeds from a personal injury lawsuit are part of your bankruptcy estate -- the pool of your property and assets that's available for liquidation to pay your creditors. This is the case even if you haven't filed a lawsuit yet. You can sue either before or after you file for bankruptcy, but any money you recover will probably go to your creditors. And, you can't wait until your bankruptcy is discharged to file a personal injury lawsuit because this is fraud. The lawsuit -- or your potential to file it -- is an existing claim to which you're entitled at the time you file your bankruptcy petition. Whether you file the lawsuit before or after you file for bankruptcy, you're not actually the plaintiff -- the person bringing the suit. Your bankruptcy estate is the plaintiff, and the trustee controls the lawsuit because he has control of your estate. You'll have no active role in the suit. The trustee has the sole right to decide when and if he's going to settle the case or go to trial. A similar situation exists if you suffer an accident after you're already in bankruptcy. You can file a lawsuit, but you must amend your bankruptcy filing to include it. In a Chapter 7 proceeding, the trustee takes control of the personal injury litigation. He -- not you -- selects a lawyer to handle the personal injury case. If you filed for Chapter 13, you can select your own attorney, but the court must approve your choice. In Chapter 13 proceedings, the injured debtor continues to act as the plaintiff in the personal injury litigation, so you have more rights with this type of bankruptcy because it involves paying your creditors from your own income over three to five years as part of a court-supervised repayment plan. In Chapter 7, if the proceeds from your accident case exceed your debts, the balance is turned over to you. Unfortunately, any debts that you incur for medical care after the date of your bankruptcy filing are not subject to discharge. You'll continue to be responsible for them, even if you don't receive any proceeds from the lawsuit -- all the money goes to your creditors if your debts exceed your lawsuit recovery. If you filed for Chapter 13 protection, you must have the approval of the bankruptcy court to accept a settlement offer rather than go to trial. The amount of the plan payments to your creditors may increase because you'll have more money available to give them. Not all accident cases receive the same treatment in bankruptcy. 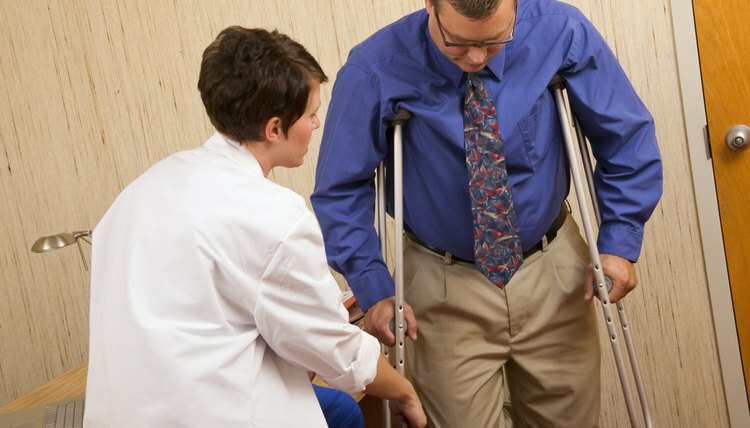 For example, worker's compensation claims are typically exempt. Talk with an attorney to find out exactly where you stand based on the nature of your case. Depending on the size of your settlement or award, you may be able to protect some proceeds in Chapter 7 by using exemptions – dollar values in certain assets that you're allowed to protect so they don't become part of your bankruptcy estate. Exempted assets can't be liquidated or turned over to your creditors. Bond & Botes: Do I Have to Tell My Bankruptcy Lawyer About My Personal Injury Lawsuit? Law Offices of Jon G. Brooks: Can the Bankruptcy Trustee Take Money That I Win in a Personal Injury Lawsuit?